Minerva Punjab FC kept their unbeaten run intact as they downed high-flying Indian Arrows 2-0 in their I-league encounter at the Bambolim Stadium in Goa on Tuesday. A wonder-goal early in the game (7′) and a late goal (84′) from William Opoku helped Minerva go straight to the top of the table. 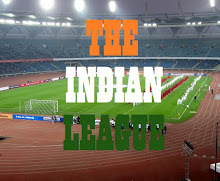 Going into the game, Indian Arrows coach Luis Norton de Matos made two changes from the last game with Abhijit Sarkar and Deepak Tangri replacing Jeakson Singh and Anwar Ali. As for Minerva Punjab, Rakshit Dagar replaced injured goalkeeper Arshdeep Singh along with Kamalpreet Singh and William Opoku Asiedu who came in place of Deepak Devrani and Gagandeep Singh respectively. Before the home side could even settle down, Minerva made their intentions clear thanks to a wonder goal from Ghanaian William Opoku in the 7th minute. The goal originated from a throw-in down the left. A long throw from Sukhdev Singh into the box was met with a weak clearance from Arrows right-back Boris Singh as it fell kindly to Girik Khosla. With no one closing him down outside the box, Khosla laid it down for William Opoku who unleashed a rocket of a shot from nearly 40 yards out. Arrows keeper Dheeraj Singh could do nothing as the ball drilled into the net past his outstretched right hand. Meanwhile, the Minerva defence didn’t give the Arrows attackers a sniff at goal but Arrows were slowly growing into the game. And the first telling goal-scoring opportunity for Arrows saw striker Edmund Lalrindika releasing Abhijit Sarkar with a perfectly weighted ball. Sarkar tried a first-time shot but it lacked power or precision as it bounced slowly into the arms of Rakshit Dagar. It was the only noteworthy chance for the Arrows who were otherwise subdued. At half-time, William’s wonder-goal separated the two sides. Minerva started the second half in the way they started the first by putting Arrows under pressure. But Arrows regrouped and they started going forward. 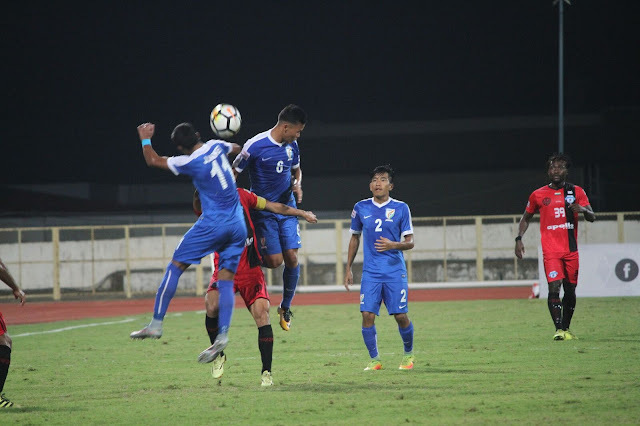 And they had an opportunity when Minerva conceded an indirect free-kick when Sukhdev Singh lobbed a ball back to the goalkeeper who collected it with his hands down the left channel close to the touchline. Stalin slipped a pass into the centre to Sarkar whose steered shot was easily collected by Rakshit in the 69th minute. Edmund was a livewire and created two excellent goal-scoring opportunities. One cross from the left and then from the right missed Rahul and Sarkar respectively. Minerva Punjab should have been 2-0 up when a misunderstanding between Dheeraj and Deepak saw Opoku pounce on it as he rounded Deepak and tried to shoot into an open goal after Dheeraj couldn’t make his way back to goal. But to Opoku’s dismay, the ball hit the post before the danger was cleared. But the Arrows could do nothing when Opoku showed his predatory skills when Checho found Opoku in the six-yard box and the Ghanaian scored his second of the night. Opoku walked away with the Hero of the match award and Minerva with three points. Following the win, Minerva Punjab FC grabbed the pole position once again with 7 points from 3 matches. The Punjab-based side will come back to their home to take on Chennai City FC on December 11 whereas Indian Arrows will make their trip to Punjab for the return leg of today’s game on December 18.